From September onwards I will pick up new projects and would love to hear more about creative floral collaborations or other floral queries. In the meantime I have a few exciting new floral plans for later this year. Don’t want to miss any of these nice floral gatherings? Subscribe to my special 2019 summer newsletter and I will reach out to you this summer with new dates. I cannot wait to continue hosting workshops after my maternity leave. Thank you for understanding and hope to see you soon! I‘m thrilled to announce that I have teamed up w/ Blomsterkrans for a few pretty flower-wreath workshops this year. Note: Workshop will be hosted in English, although explanation of the steps and assistance can be easily translated into Dutch on the spot. So don’t hesitate to join us! A video in which we go behind the scenes of one of my favorite flower workshops: the wildflower bouquet workshop on a modern vase. 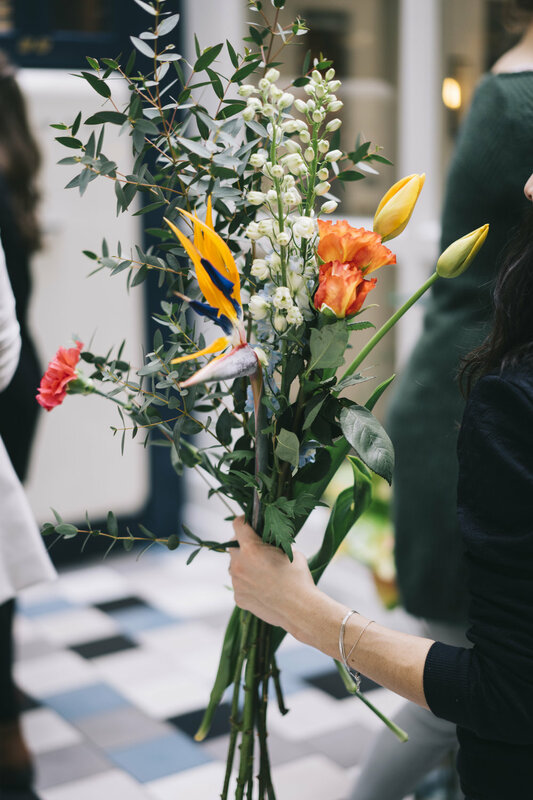 The Hoxton Hotel hosted this beautiful location for the popular workshop in which you learn how to create your own "Amsterdam-style" wildflower bouquet. ~ Book your custom made workshop in one of Amsterdam's finest locations OR at a preferred location of your choice. Give me a call or send me an e-mail for more details! Wouldn't it be great if you know how to create your own bohemian flowercrown from wildflowers and wire? You'll be that pretty thing in your festival outfit complete with flowers in your hair. Or maybe you attend a wedding and can't wait to learn more about the DIY of flower wreath making. 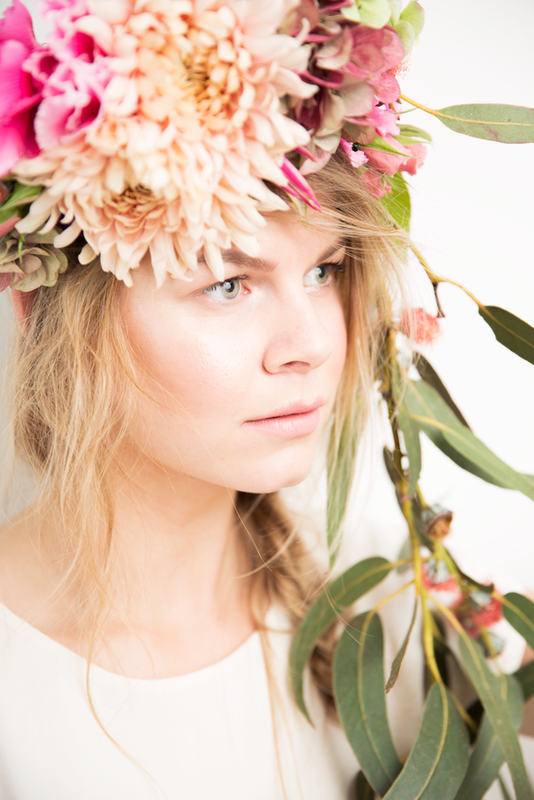 Come join us for a bohemian flower headpiece workshop in Amsterdam! With a selection of fresh, seasonal blooms in your hair in a pretty workshop location in the heart of the Dutch capitol, you'll leave the workshop with a flower buzz, some handy-dandy flower skills and a pretty flower wreath on your head. Here's to an amazing festival and wedding styling, because it'll be all about YOU & Your flowers! Yes I am a flower lover!